Ground Control to Major Tom . . .
A small note- This topic and this particular blog post almost killed me. My brain came close to disintegrating from all the important tangents this post could have run off on. I tried to keep it streamlined and focused on but a few of the more important factors regarding said topic. I still feel as if I may have had a small aneurism or hemorrhage of the brain. I apologize ahead of time. It has been rewritten 6 times . . . no joke. This is a topic I will try to readdress later if I am alive. If I die don’t let me vote Democrat after I am dead. Communication is the means by which we transfer and decipher information. Whether it is thoughts, emotions or ideas, we use our speech, gestures, and facial expressions, to transmit whatever it is we wish to get across to those we are communicating with. There are three essential components to communication: the sender, the medium by which we are delivering the data (method of delivery), and the receiver. Now, I could get into theory and further explain the science around all of this but let’s proceed using this base understanding. Ancient Greek philosophers understood the importance of communication. They were quite articulate about it actually. (Get it?). With the creation of the Olympics, all those chiseled bodies (see what I did there?) 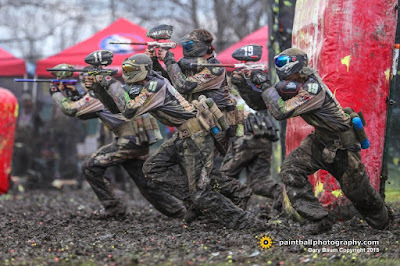 and their understanding of communication based off the philosophical minds they had at their disposal, would have made excellent paintball players. Probably the most overlooked, misunderstood, and vitally important aspect of paintball is communication. I don’t care if you are a beginner or a pro, you can never have enough good information. The importance of receiving and transmitting this information well is a crucial element teams should master if they intend to be successful. Think about it for one moment in the most basic of contexts: You communicate to your teammates the game plan prior to a point. You communicate what you want to accomplish. If you are down bodies, good communication will help you pull it back. If you are up bodies, good communication will help you ensure your success. 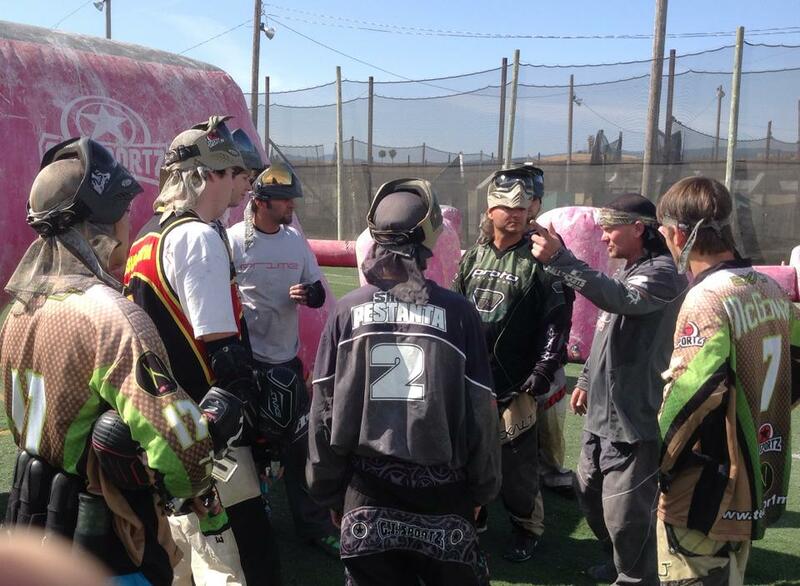 Too many players have a simplistic understanding of what communication is or should be in paintball. They feel that it is simply shouting out bunker codes or kill counts. Sure, it is important to identify threats. But is that the extent of it? Is that where it ends? Absolutely not. Now that we have information, how do we continue its transmission and how do we use it effectively? Something many players look past is listening, another incredibly important factor of communication. This is my own personal issue. I have a tendency to communicate well in the first part of a point. While I am communicating, I am piecing things together in my head on how I am going to react to the data I have. I see the game plan unfold, make my reads, and then act. Regrettably, I may have missed a key point of data from one of my players because I was talking/yelling and not listening too. Or even worse, I may not communicate what I knew or my intent. In other words, I have a tendency to forget to share “my plan” and just act essentially diminishing my success rate by not getting the “help” I need. This is where some of you would argue, “Hey, if you see the move you have to take it!” That is true. And you are still wrong. Once you have the necessary information (location of opponents, recognizing your teams position in relation to those of your opponents, up/down count), now we have to take this information and form a response to it. Whether it is sharing what we know (if we have additional information) or simply acknowledging we heard what our teammate(s) shared, they have to know the message was received as well as the additional information we can provide. Once this is established, now we have to build a game plan. Yes, you had a plan on the box of who was laning where, who was going where (and why) and you want to execute that plan. One or two specific goals should have been determined, too. 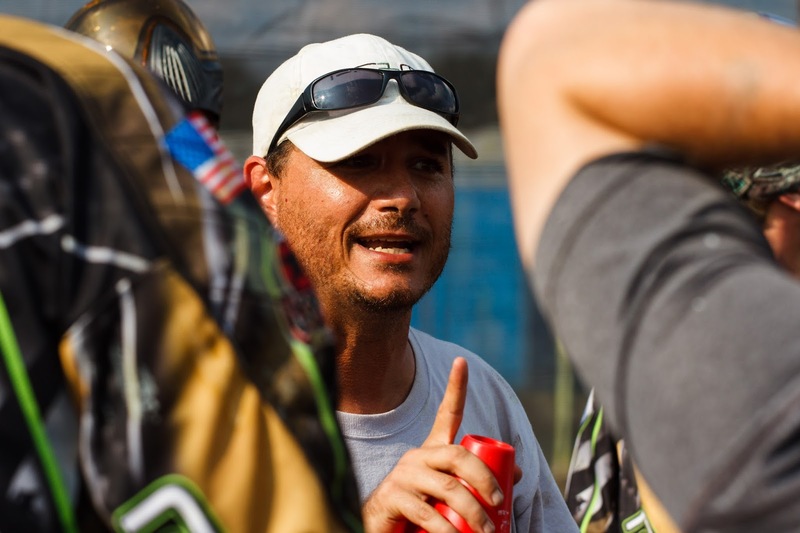 It is important to understand the reasoning behind the play (your goals). So, the point begins and we go to accomplish and execute our plan/goals. But now, based off the latest data, we have to piece together how to execute said game plan based off our new environment (what happened after the break). Has the game plan now changed and if so how, why and where? What elements have changed? Did we lose someone off the break? Perhaps two? Did we drop one or two of them on the break? Did we make it wide and they didn’t? Does this allow us to take more ground quickly? What elements and variables have happened and how do we adjust? How do we know how to adjust? Communication, that’s how! After enough time working with your teammates, instinct will also play a role, but that is another topic/blog. Communication paints the picture for us and now we have to finish the story by painting our own ending. Communication is the paintbrush. BTW, that is what we call “analogy”, a good communication tool . . . anyway. . . It should be noted that the information derived from communication is only as good as the context in which it is received. 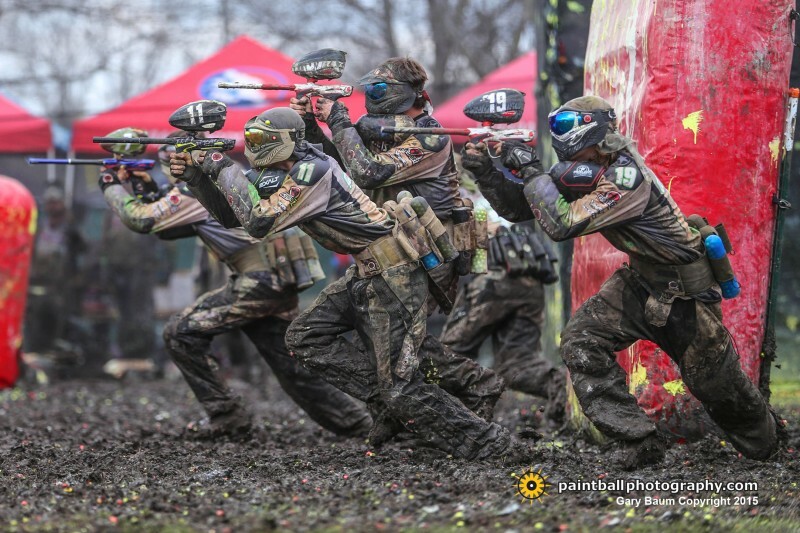 It is important in paintball to get the most amount of information across in the most efficient way. Power words or short sentences that are code for specific and distinct meaning are key. Perhaps your team has a code meaning the snake side is clear from a particular prop over? Same for the D side. Or that there is a particular situation you anticipated to encounter and trained to beat? If you don’t have these things, again, you are behind the curve. Additionally, the knowledge you already possess must be built upon with the knowledge you receive. If you are told it is “G4! Home only!” and truck down the field to dunk the guy and end up getting smoked by a guy in the corner everyone missed, well, that’s bad. However, having your data, building upon it as accurate (trust but verify) gives even greater detail which allows you to make a better informed decision. But most importantly, have you and your players walked the field well enough that they have a 3 dimensional map of it engraved in their brain? This is the next level. If I tell my front snake player “G out of the can! Aztec is D side, corner is on the wire!”, can he/she now see the field in his/her mind and make an informed decision to set up and shoot another threat he is aware of? AND BECAUSE he has walked the field so well and knows the shot from his position in the snake, it is second nature to pop up and make an accurate shot without having to gather his bearings. Make sense? Translation: If you tell your snake player an opponent is looking away and he now has a shot on another bunker but he doesn’t know the shot instantly, he could very well miss the opportunity. He now has to prairie dog causing him to lose a valuable opportunity. Are there ways to improve communication? Yes. Are there drills for this? There sure are. What is an example? Yep, supper. For those of you not in the know, supper is the correct term for dinner here in the south. Now that we have the nomenclature squared away . . . I love to eat, but I love eating with my friends and teammates more. 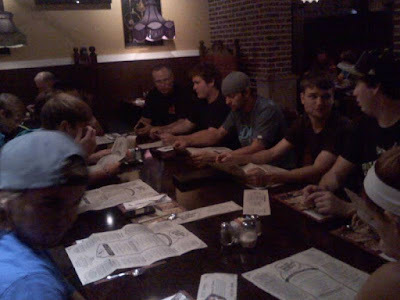 There is something about breaking bread with guys you have chewed dirt with all day. No, this isn’t a drill. There are plenty out there and several the Prime program uses. It would be easy to supply you with a few that assist you with communicating better on the field. But I have news for you. 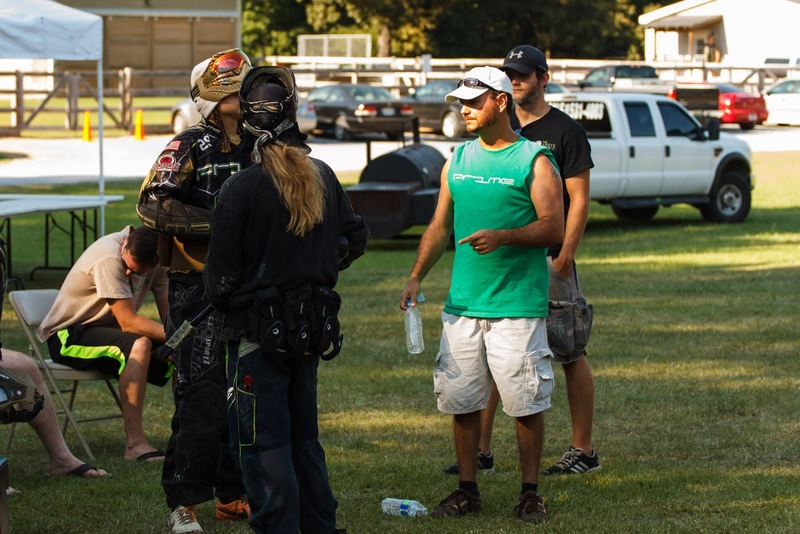 If you don’t get to know the guy in front of you, beside you or behind you on that field, and you don’t trust them, then there is no amount of drills that will help your comms on the field. If you can’t talk to your teammates off the field, you won't do it effectively on the field either. No manner of drill will make you a better teammate much less a better team. Emphasize communication at your next (and all) practices going forward. Try to think of ways to improve it. Trust me when I tell you that a team that can communicate well and adjust will take the game more times than not.